Candy is dandy, wine is fine, these bouquets are luscious and blow our mind! We sent these little pretties to a Western gallery here in Santa Fe. They are so rustic, yet so romantic. We just love the combo of black-eyed Anemones, pale pink Hyacinth, orange Rannunculus, Estelle Roses, Hydrangea, peach Lisianthus and Silver-Dollar Eucalyptus. Man oh man are we excited for Valentine’s Day! We have so many unbelievable pretties in the shop, we don’t even know where to start! Here’s a sneak peek for you! Freesia perfect enough for Thumbelina herself! Knockout red Rannunculus and Nikita Sweetheart Roses. These Cymbidium Orchids are out of control. They have the most amazing fragrance too! More stunning Rannunculus…we can’t get enough! The prettiest little Lisianthus, they look like frosted cupcakes! And for those of you who are curious what we do on Friday, come over here for a spell. Instead of a standard dozen red roses, we are LOVING this dusty pink and soft silver combo for the loveliest of holidays. 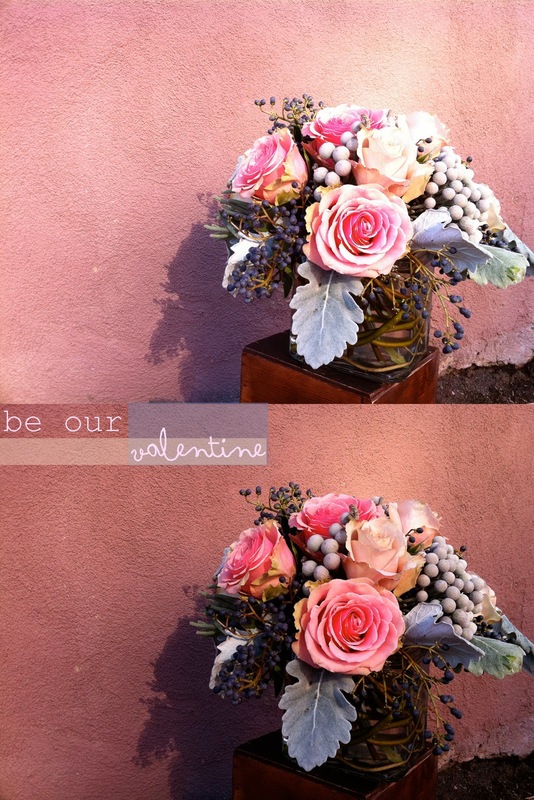 Give us a jingle to reserve an extra special bouquet to share with your Valentine!